(TibetanReview.net, Sep06, 2016) – Tibet’s exiled spiritual leader, the Dalai Lama, has on Aug 30 expressed disappointment that despite hoping for many years, he has not been able to travel to South Korea because of Seoul’s fears of offending China, reported english.hani.co.kr Sep 4, reporting on an interview with the Tibetan leader. Speaking to a group of South Korean journalists at his home in Dharamshala, India, the Dalai Lama has wondered how many more years he would have to wait for a visit to become possible. 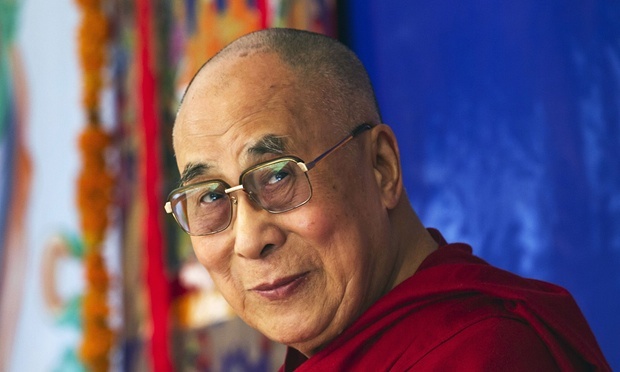 Despite efforts by the South Korean Buddhist community, Seoul has not allowed the Dalai Lama to visit the country, aware that China had applied pressure and imposed economic sanctions on countries that had allowed him to visit. The report said the interview was arranged by the Organizing Committee of His Holiness the Dalai Lama’s Visit to Korea, which is jointly chaired by the Korean Buddhist monks Geumgang and Jinok. It added that during the three years since it was set up, the committee had collected more than 130,000 signatures from Buddhist monks, Buddhist laypeople and members of the general Korean public expressing support for a visit by the Dalai Lama. The report said the headquarters of the Jogye Order of Buddhism had kept its distance from the committee because of the South Korean government’s position. Still, on Aug 30, the committee gave the Dalai Lama an invitation to visit South Korea and also presented to him a woodblock printing of the Heart Sutra from the Tripitaka Koreana. The Dalai Lama has said on several occasions that he would like to visit Haein Temple and admire the Tripitaka Koreana if he went to South Korea, the report added.